Good Morning! Happy Friday! I am totally excited that the weekend is almost finally here! It’s a long weekend and I am looking forward to enjoying some relaxation time at home and in my craft room! A couple of weeks ago my friend, Shelly came to stay with me from Cape Breton and we had a fun crafty weekend. I got a chance to play with her stamps which was really fun! 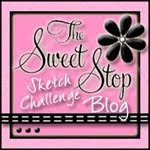 This stamp is by Stampin’ Up and Shelly brought so many with her I had a hard time deciding which ones to use! Again with my obsession with blue… Sorry, hopefully I will get off this fixation soon lol! Okay… now I am off to get ready for work! I hope you all have a fantastic day and thanks so much for stopping by! Tags: Card Making, Craft Punches, DYI Crafts, Hand Made Cards, Martha Stewart Butterfly Punch, Paper Crafts, Rubber Stamping, Stampin' Up! Lovely, Lisa. 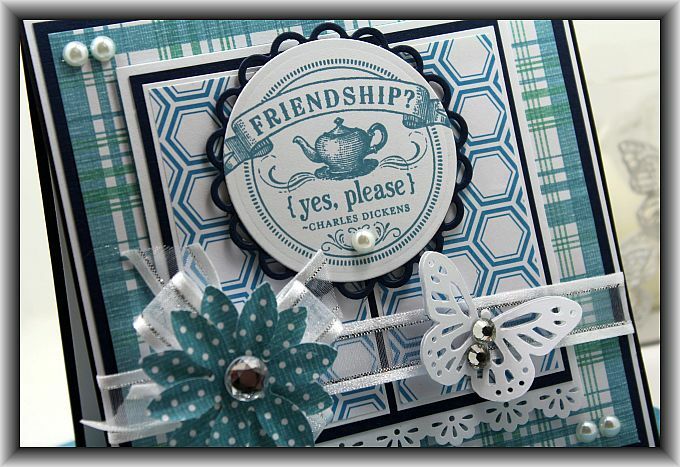 I do love those blue/greens together..and of course just above everything else about the card, I love also. Have a great weekend. I also love the stamp.